(NASHVILLE) – The State Collaborative on Reforming Education (SCORE) has released the 2014-15 State of Education in Tennessee report, a comprehensive review of Tennessee’s recent work to improve K-12 student academic achievement that identifies four priorities for public education in 2015. The 72-page report was released by SCORE’s founder and chairman, Senator Bill Frist, M.D., at an event attended by 150 education partners from across Tennessee, including members of the General Assembly, leaders from the Tennessee Department of Education, and K-12 and postsecondary educators. 1. Select and implement high-quality assessments that are nationally benchmarked and aligned to Tennessee’s State Standards. The 2014-15 State of Education in Tennessee report calls for quickly moving ahead to implement the TNReady assessment in 2015-16 to replace the Tennessee Comprehensive Assessment Program (TCAP) math and English tests. It also identifies a need for more state support for districts and schools in selecting high-quality formative assessments, and it recommends a statewide study of the amount of testing in districts and schools as a step toward having fewer, better assessments. The reports says a state-level communications campaign is needed to explain to the public how high-quality assessments can improve student achievement. 2. Ensure the continued and improved implementation of Tennessee’s State Standards. The 2014-15 State of Education in Tennessee report emphasizes that the ongoing public review process of Tennessee’s State Standards must result in equally high or higher standards for students, and it calls on policymakers to refrain from passing legislation that would change the standards before the review is complete. It encourages multiple groups in the state to foster efforts by those closest to the classroom to offer input for the review so that recommendations address the top needs of students and teachers. The report also identifies a need for more training for teachers and school leaders and for high-quality learning materials aligned to the standards. 3. Elevate the teaching profession in Tennessee to ensure that high-quality candidates pursue a career in education and that Tennessee’s current teachers receive the support they need to improve student learning. 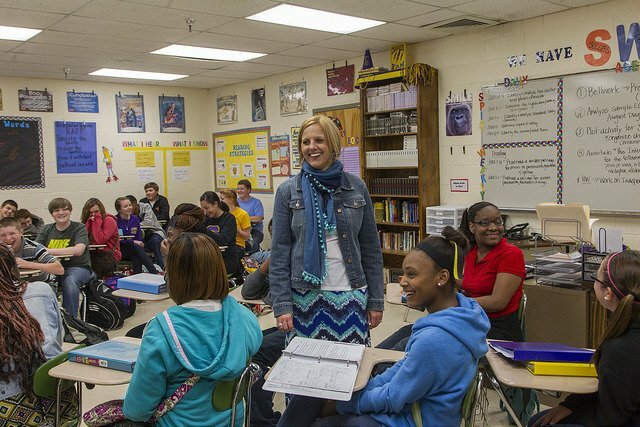 The 2014-15 State of Education in Tennessee report recommends that the State Board of Education and the Tennessee Department of Education develop a more rigorous approval process for teacher preparation programs that would consider teacher retention and effectiveness data as well as the program’s entry requirements and curriculum. It also identifies a need for more training for school leaders in how best to use the teacher evaluation process to improve instruction. The report says the state should maintain its commitment to being the fastest-improving state for teacher pay while expanding programs that recognize exemplary instruction. It calls on the state and districts to work together on creating more leadership opportunities for teachers who want to remain in the classroom. While noting that assessment data show significant growth in grades 3-8 math but only slight increases in reading, the report also calls for a task force to develop a strategic plan to improve literacy. 4. Transform instruction through high-quality school leadership that meets local needs. The 2014-15 State of Education in Tennessee report recommends improving principal preparation programs with rigorous selection criteria, a research-based curriculum, high-quality clinical experiences, and partnerships between preparation programs and local school districts. To help principals build skills as instructional leaders, the report calls for more professional development and support. It also identifies a need for a new data system that will provide more comprehensive information about principal preparation programs, current school leader performance, and the principal labor market. The report also says there should be more training for district leaders in how to provide feedback and support in conjunction with principal evaluations. In 2013, Tennessee became the fastest-improving state for student achievement, according to results from the National Assessment of Educational Progress. In 2014, ACT reported that Tennessee’s composite score growth ranked at the top of states that require all students to take the test. On TCAP, approximately 100,000 additional Tennessee students are on grade level in math and more than 57,000 additional Tennessee students are on grade level in science, compared to 2010. These results are early indicators of the impact student-focused polices are having on achievement in Tennessee. SCORE also announced Friday that it will monitor work on the priorities throughout the year with a Progress Report that tracks what needs to be done, which education partners can help, and how to measure success. The Progress Report will indicate where progress has been made and highlight priority areas that need more support. Read the 2014-15 State of Education in Tennessee report.